The U.S.-Azerbaijan Chamber of Commerce (USACC), based in Washington D.C., aims to help strengthen business ties in both countries for the benefit of private companies, and for the public and consumers they serve. 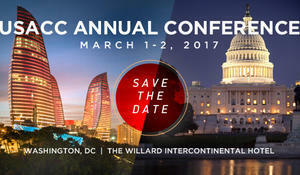 To that end, USACC holds its next annual conference on U.S.-Azerbaijan relations, scheduled to take place at the historic Willard InterContinental Hotel, conveniently located just one block from the White House on March 1-2. USACC invites to join the event for this one-of-a-kind opportunity to learn more about Azerbaijan and the region, meet key business leaders, fund managers and government officials from both countries and forge new partnerships for your business.